ROC is your partner for the future of online business! ROC works with the leading agencies, technical service providers and consulting firms in different countries. Our partners offer a comprehensive service in the field of personalization, customer intelligence and shop optimization as well as Public Relations and Events to assure a holistic communication approach for our clients! 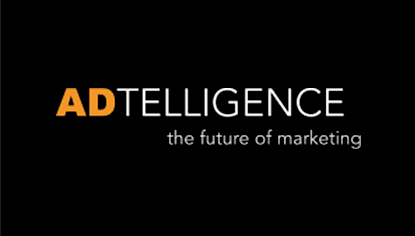 Adtelligence is the leading provider for big data-fueled personalization technology. It provides its Personalization Cloud to any vertical worldwide that generates leads or sells online. The award-winning Adtelligence Personalization Cloud combines big data and machine learning to increase customers’ conversion rates and revenues by up to 30% within the first 6 months. The company delivers innovative solutions for Big Data Analytics deployed in Social CRM and Customer Intelligence applications. In social media marketing. Additionally, Adtelligence is Google AdWords and Facebook API partner and fully integrates in all leading ecommerce shop and CRM systems. They works with customers all over the world, supporting them with a team of more than 80 highly motivated people from more than 25 countries. The digital marketing specialists, innovators, software developers, Facebook- and eCommerce experts work at offices in Mannheim (HQ), Berlin, Hamburg, Munich, Zurich, Barcelona, Milan, Paris, London, New York, Dubai and Silicon Valley.